November 28, 2010 by Alphageek in "alphageek", "review", "urbanspoon"
This is the place that opened my eyes to the world of locally roasted coffee. 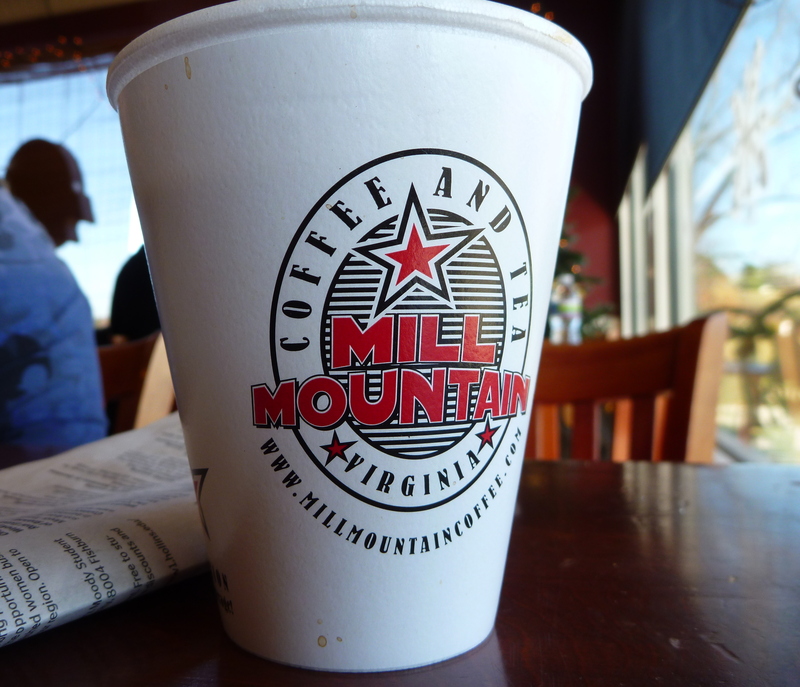 Sure, I drank coffee before ever stepping foot into Mill Mountain Coffee and Tea in Blacksburg, but once I walked in, coffee was different for me. Sure, this image to the right here may not look like much. I freely admit that. This cup of coffee sits in front of something I now see out: a coffee roaster and raw beans. Additionally, I got to take pictures with my new camera for the first time here, which seems the most appropriate place to break in a new camera for me. This picture shows how I like my coffee: simple with nothing but coffee in it. 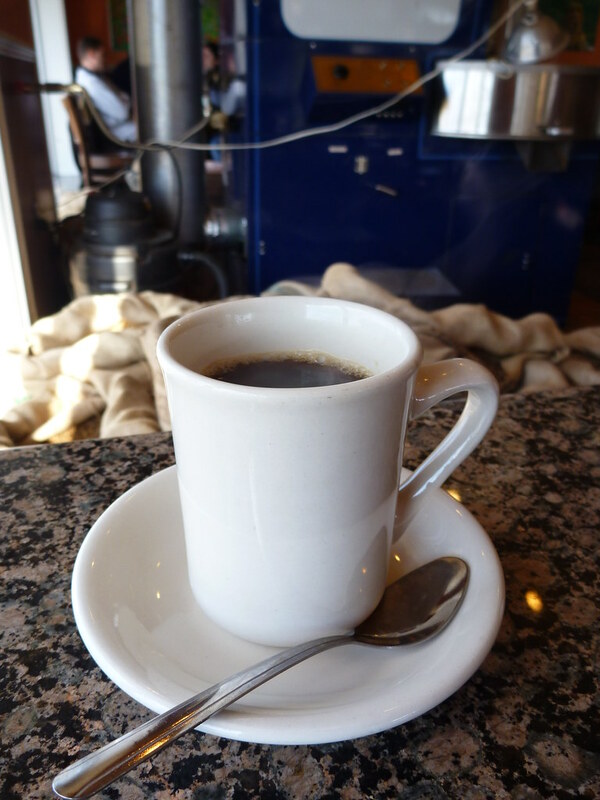 I consider this picture to be a picture of one of the best cups of coffee around. However, one needs something to eat in the morning, but especially something that compliments one of the greatest cups of coffee out there, like the great breakfast sandwich to the left. 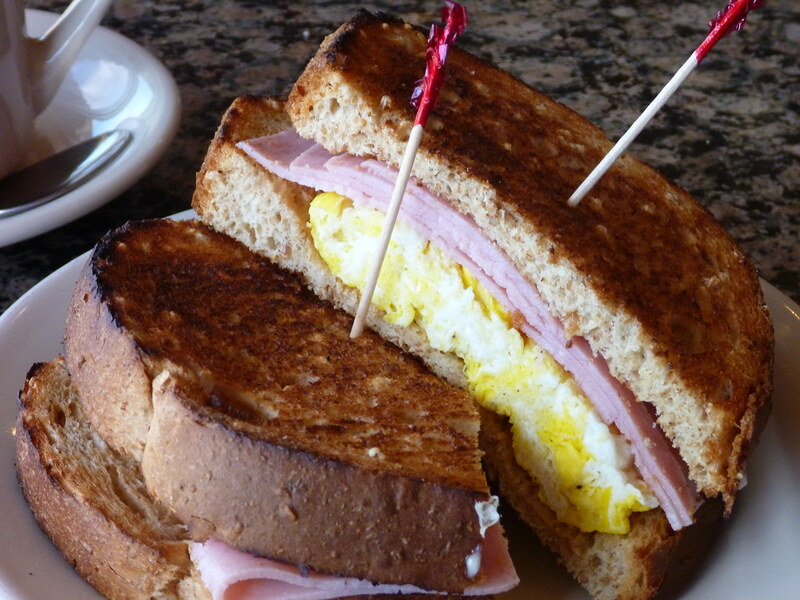 It is made just the way I like it: eggs, and ham on a some wheat bread or a bagel perfectly toasted. That is how I like mine, but they will make you one the way you like it because all of the breakfast sandwiches are made to order. I have become so attached to their coffee, that we always make an effort to stop and purchase some of their freshly roasted coffee on the way out of town. Given that Blacksburg is not always convenient, we have checked out some of their other locations as well. The picture to the right is from there Troutville store, where we stopped to get another pound of freshly roasted coffee. You get a free cup of coffee when you buy a pound of coffee, so we decided to celebrate with this picture. You can check out their web site for other locations Mill Mountain Coffee and Tea for locations other than the one on the map below.